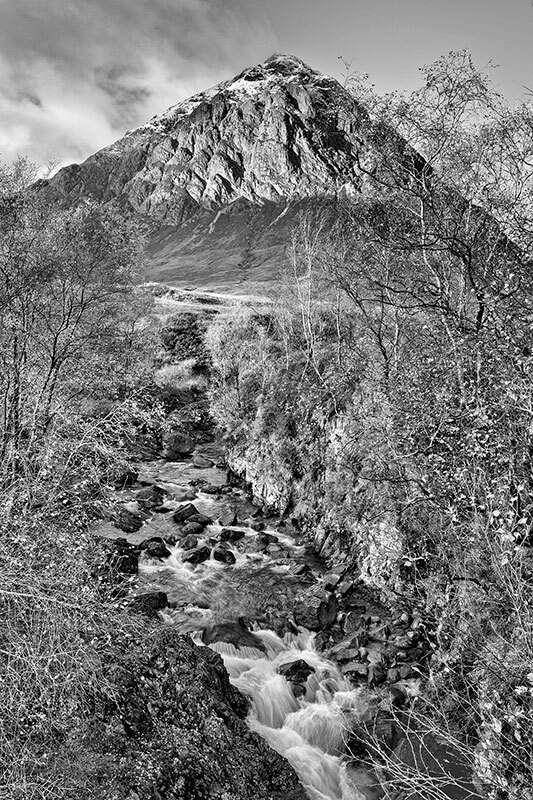 Taken from the bridge over the River Etive in Glen Coe. The location is beneath the majestic Stob Dearg, which acts as sentry soldier on the entrance to Glen Coe. I waited for a while until the sun was on the mountain as it steamed across the mountain side - one of those magic moments.